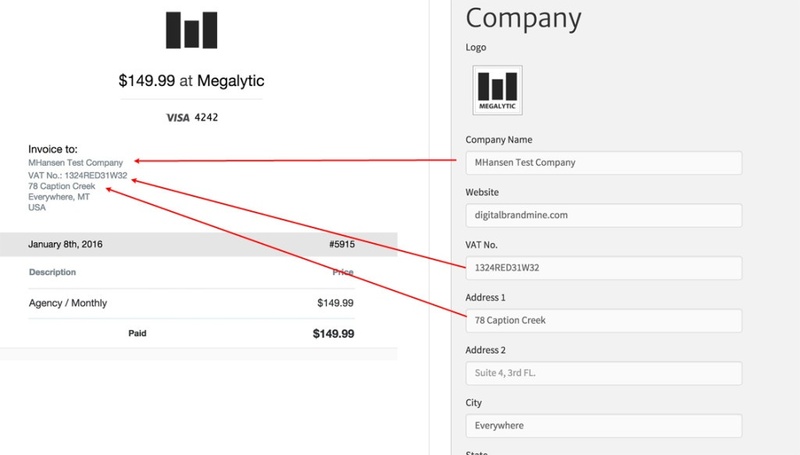 You can customize your Megalytic invoices to include your company address and (for EU customers) VAT Identification Number. 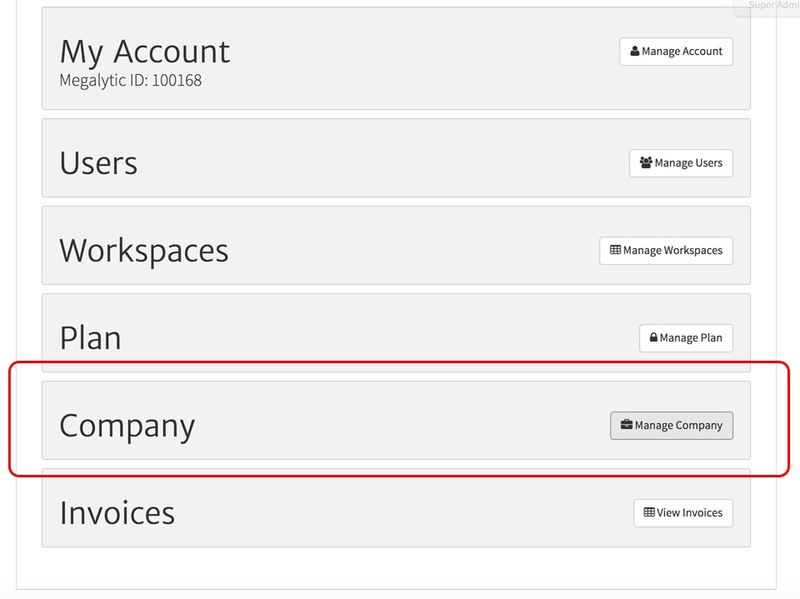 The address and VAT Identification Number for your business can be entered under the Company segment of the Manage Section in Megalytic. The data that you enter there appears on your invoice as shown below.